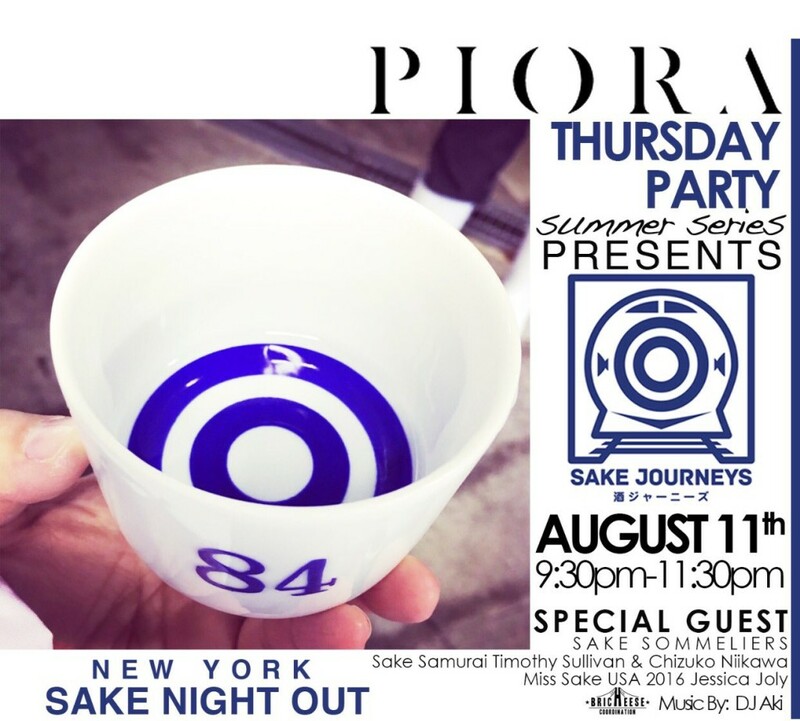 Thursday, August 11 from 9:30 p.m. until 11:30 p.m.
Piora, a modern American restaurant with Korean and Italian influences, presents New York Sake Night Out as part of its Thursday Party Summer Series. Sake Samurai Chizuko Niikawa-Helton and Timothy Sullivan and Miss Sake USA Jessica Joly will be on hand to talk about sake and the Sake Journeys travel program. DJ Aki will provide music. Founded by Niikawa-Helton and Sullivan, Sake Journeys takes groups of sake fans on behind-the-scenes tours of sake breweries in Japan for a first-hand look at how the beverage is made. To purchase tickets, please visit Piora’s Eventbrite page.